This is a very amusing poem about Godfrey Gordon Gustavus Gore. There’s one habit of Godfrey Gordon Gustavus Gore that tires everyone around him. No matter how much they tell him, or beg him, or spank him, he doesn’t seem to improve his habit. 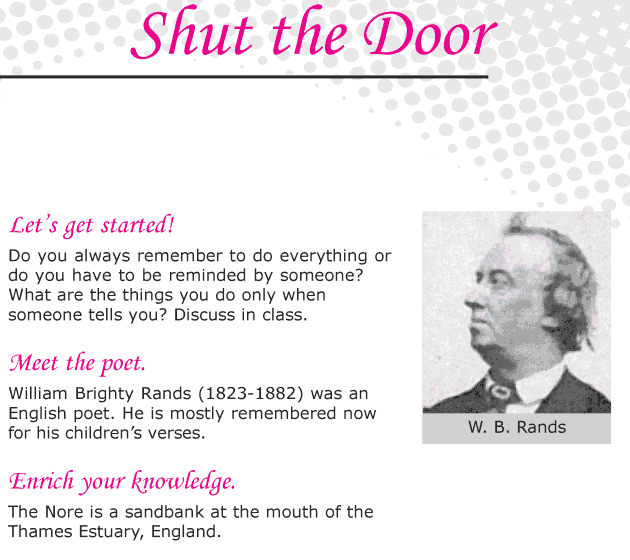 Let us find out about Godfrey Gordon Gustavus Gore in this poem, Shut the Door by William Brighty Rands.